“An important lesson that should be learned from this is we can no longer assume any current or future wireless technology is safe.” Ronald Melnick, PhD, who led the design of the NTP study in his 28-year career as a scientist at the National Toxicology Program and is currently senior advisor to Environmental Health Trust(EHT), stated, “The NTP studies in experimental animals were designed to test the long held assumption that radio frequency radiation at seemingly ‘low’ non-thermal exposure intensities could not cause harmful health effects. It failed the test. Cell phone radiation clearly caused cancer in these animals.” Read Dr. Melnick’s full statement here. 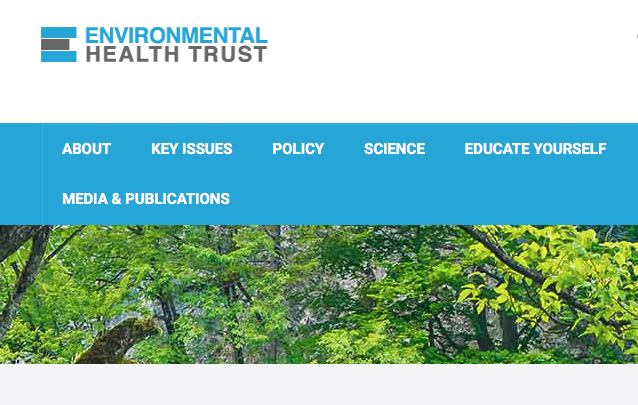 EHT is a virtual scientific thinktank conducting cutting-edge research on environmental health risks with some of the world’s top researchers, and developing pilot public educational programs in Jackson, Wyoming. EHT educates individuals, health professionals and communities about policy changes needed to reduce those risks. Currently, EHT is addressing health effects of emissions caused by use of cell phones and other wireless devices and networks and recommends reducing exposure to reduce risk. The Environmental Health Trust maintains a regularly updated database of worldwide precautionary policies on cell phone radiation as more than a dozen countries officially recommend reducing wireless exposure to children and have policies in place to reduce public exposure.